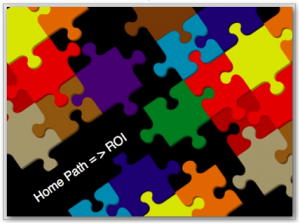 Greater ROI HomePath Financing Tonight we'll have two guests sharing about one of the most exciting financing & investment combinations on the market today. Jennifer Martin, our Real Estate Broker and Gene O'Brien, our Loan Broker will be talking about Leveraged Investment in Foreclosures using the Fannie Mae program called HomePath. Check it out at HomePath.com to get a head start on the Webinar. Requiring only 10% down, The HomePath mortgage allows investors to get in the game with less capital than with conventional financing. Tune in to hear why investors are flocking to this program. What are its limitations and where does it shine? And...Continue Reading! Investment Property Alerts 5008 E Home Ave. Fresno, CA As many of you know Dave's attending the 2012 Balitimore National Affordable Comfort Institute Convention. Because of the time difference he'll be unable to do his usual on location interviews with attendees. 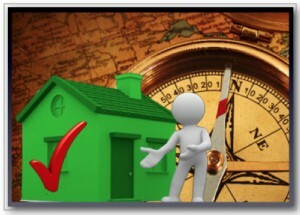 Tonight, Dave and I will be review our new "Investment Property Alert" package. 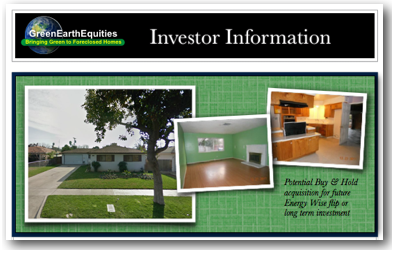 We'll sample a collection of information on a property we recently visited compiled in such a way as to make it simple for Energy Wise investors to take quick advantage of good deals in the Fresno area. The 7 Page Email Alert features: Cover Sheet: Pictures and Overview Price & Sales Comparables:...Continue Reading! 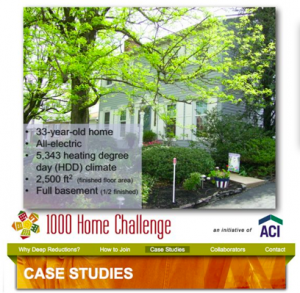 1000 Home Challenge Linda Wigington Interview Tonight we will explore the Thousand Home Challenge led by the founder herself. I asked Linda Wigington for a photo and I was expecting a headshot. 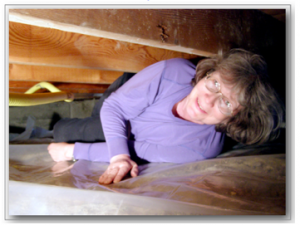 It's good to know that the leader of the Thousand Home Challenge and ACI is ready to get down and dirty and really knows about crawl space treatment!. The webinar will center around a very useful spreadsheet. Linda will work "live" with data so bring your home's statistics and you'll be able to see how it measures up. We'll discuss various strategies for meeting the Challenge along with costs, paybacks, phasing...Continue Reading! Wayne Mackey Inteview Linda Wingington 1000 Home Challenge This week we have two guests that you won't want to miss. Wayne Mackey: A regular attender who has sent me several good ideas. It turns out that he and his wife have renovated their home and it is the 5th home in the United States to meet the prestigious Thousand Home Challenge. Interestingly the Mackeys started their project and were nearly complete before they even heard of the Challenge. Check in Tuesday to hear what they did and how efficient their home is now. Wayne will explain what they did and what else they...Continue Reading! 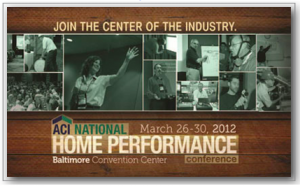 Affordable Comfort Institute 2012 Home Performance Workshops I'm excited about this year's ACI conference in my own backyard. Well, about two hours away in Baltimore. On tonight's webinar we'll look at the scheduled topics and speakers. I know you'll want to attend. 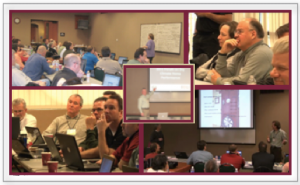 The ACI conferences are as they say, "the center of the industry" and you'll want to be there for a variety of reasons. Free Scholarship Ticket to the Conference: I'm paying it forward. Someone paid for me to attend my first conference several years ago and I've been hooked since then. So the fee's on me for someone who has never been...Continue Reading! Green Home Reference Guide Part 2 Complexity Vs Simplicity Tonight we will continue our discussion with Debra Little about Appraisals and Appraising Green, Energy Efficient Homes. We will complete the Guide that she uses in the training classes that she conducts for Appraisers around the country. 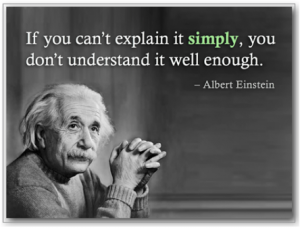 It will lead into a discussion on Simplicity versus Complexity. How complex and complete does an Appraiser's understanding of Home Performance need to be? Can we keep it simple? Or must we (and they) be sucked into the Vortex of Complexity that so easily rises up in an industry with so many variables? Some would say, "Let...Continue Reading! Green Home Guide Part 1 Dave Robinson Interviews Debra Little Tonight we will go over the Green Home Reference Guide which was prepared by Debra Little and Steve Easley for use in the the PG&E training for Realtors and Appraisers. Debra is a Real Estate agent and a Certified Appraiser and Steve is a Building Science Forensic Expert. Debra and I will discuss each point on the guide and we'll take all your questions and follow the rabbit trails wherever they go. The guide we present tonight will be an Improved and Expanded version and could actually be the basis for a simplified rating...Continue Reading! 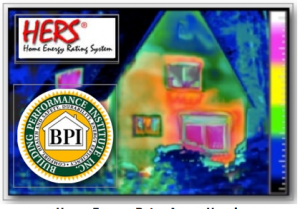 BPI-Home Energy Rater Interview with Aaron Husak Tonight well be interviewing Aaron Husak, a BPI Certified Trainer who has spent the last 6 years focused on helping homeowners improve their quality of life with energy efficiency and renewable energy. His background in business management and marketing helped him co-found Anchors Aweigh Energy, a company in San Diego that focuses on HERS ratings, BPI assessments and energy efficiency products. Husak then moved on to teach over 125 BPI candidates on BPI standards, whole house building performance and combustion safety. In 2008 Aaron was a sales and marketing manager for Clean Power Systems, with...Continue Reading! 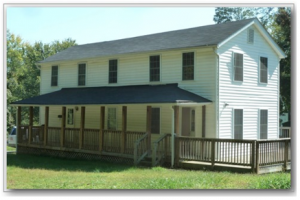 DOE-GEE 13 Cedar Virginia Test House: Incredible Shell Sealing Tonight We'll explore what it takes to create a workforce capable of producing the tight, performing houses that we'll need to achieve our 2020 and 2030 energy use goals. BTW, we are not on track to meet them with the status quo. Finding and training a competent labor force is the second most often heard complaint that I hear from my contractor and program operating friends. (First is finding customers willing to pay what good Home Performance work costs) The problem can be approached from both a small and a large perspective. After our...Continue Reading!